Here is a lovely song performed by the delicious and gifted singer Blossom Dearie. Blossom Dearie (born in 1926 in East Durham, New York) is an American jazz singer. 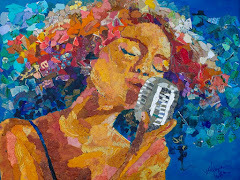 She is known for her distinctive, high-pitched, girlish voice. As a child Dearie studied classical piano but switched to jazz as a teenager. After high school Dearie moved to New York City to pursue her music career. Here she began singing in groups such as the Blue Flames (with the Woody Herman Orchestra) and the Blue Reys (with Alvino Rey's band) before launching her own solo career. In 1952 she moved to Paris and formed a vocal group, The Blue Stars. The group had a hit in France in 1954 with a French-language version of "Lullaby of Birdland". While in Paris, she met her future husband, the Belgian flautist and saxophonist Bobby Jasper. On her first solo album, released two years later, she plays the piano but does not sing. One of her most famous songs from that period is "The Riviera", written and composed by Cy Coleman and Joseph McCarthy, Jr. in 1956. Dearie's first recordings as a singer and pianist were made for Verve in the late 1950's and early 1960's, most often in a small trio or quartet setting. 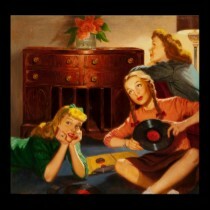 In 1962 she recorded a song for a radio commercial for Hires root beer. 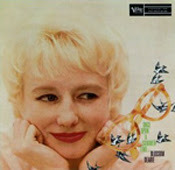 It proved very popular, so the LP "Blossom Dearie Sings Rootin' Songs" was released as a premium item that could be ordered for one dollar and a proof-of-purchase. In 1964 she recorded her best known album for Capitol Records, "May I Come In? ", recorded, atypically for her, with an orchestra. During this same period Blossom performed frequently in New York supper clubs and honed her own distinctive style. In 1966 she made her first appearance at Ronnie Scott's club in London and quickly became a popular act. In 1974 Dearie established her own label, Daffodil Records, to allow her full control in the recording and distribution of her albums. Throughout her career Dearie has appeared on television, most notably giving her voice to the children's educational series "Schoolhouse Rock!". Many of her pieces in this series were written by her good friend, the jazz singer and composer Bob Dorough. Her distinctive voice and songs have been featured on the soundtracks of many films including "Kissing Jessica Stein", "The Squid and the Whale" and "The Adventures of Felix". She has also recorded with various musicians including Bob Dorough and Lyle Lovett. Dearie has continued to perform in clubs. As one of the last remaining supper club performers she still performs regular engagements in London and New York City.